What many observers forget is that strong xenophobic tendencies in otherwise liberal European polities is not a new phenomenon. It is wrong to solely attribute the current backlash to recent events. To delve deeper into the issue, it is wise to look at how migration, refugees and Islamophobia came to dominate political discourse on the continent. To this end, Switzerland presents itself as an excellent barometer of public sentiment, as the country's direct democracy system allows for a detailed tracking of the rise of Euroscepticism and xenophobia gripping Europe. In the late 1990s, the conservative nationalist Swiss People's Party, or SVP, began to politicize issues of migration and asylum. While these were heated topics before, it was the SVP that managed to place them center stage, simultaneously positioning itself as the voice of the common people. In 2003, the SVP swept national elections, becoming the largest party in the country -- a title it still holds. The major driving force behind the SVP's success was the rise to prominence of Christoph Blocher in Swiss politics. Interestingly Blocher, a wealthy industrialist, became the voice of a party with a largely agrarian, rural support base. Nevertheless, Blocher played a fundamental part in shifting the SVP, and Switzerland's political discourse, further to the right. 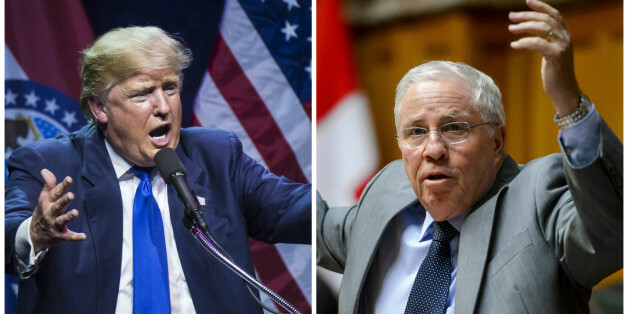 A highly vocal and polarizing figure -- Blocher was charged with anti-Semitic libel in 1999 -- he mastered fear mongering. In 2004, Blocher was elected to the seven member Federal Council, Switzerland's executive body, serving as justice and police minister. In 2007, Blocher's confrontational manner saw him become only the fourth councillor since 1848 to lose their bid for re-election. Blocher continued as a member of parliament until resigning in 2014, claiming he was wasting time in government, distracted from the real work of championing the people's cause. Blocher remains, for now, the vice president of the SVP and an active voice in Swiss politics. Both Blocher and the SVP have long complained that the political class does not heed the will of the people and that said will (via referenda) should be the first and last arbiter of legislation. Switzerland's political system allows for anyone to bring an issue to referendum if they garner 100,000 signatures within 18 months. The SVP has used this to repeatedly launch divisive initiatives capitalizing on fear. Alongside the SVP's platform points, domestic and international critics have in particular noted the explosive campaign material used by the SVP to stoke voter fears. In 2005, the Eurosceptic SVP campaigned hard against Switzerland's ascension to Schengen. Ultimately 54.6 percent of the electorate voted in favor of joining Schengen, but the referendum saw the continuation of the series of evocative and distinct SVP posters at a national level. In 2008, the SVP launched its initiative against legislative changes proposed by the government concerning naturalization. The SVP counterproposal argued that municipal organizations and even the citizenry directly should decide who gets naturalized. This proposal was rejected by 64 percent of the electorate. In 2009, the SVP launched a counter-initiative to federal efforts to implement Swiss-EU freedom of movement legislation. The SVP was rejected by 59.6 percent of voters. The same year the SVP also sponsored a referendum on the banning of minarets, which passed with 57.5 percent of the vote (53 percent turnout). This marked a shift for the SVP, which capitalized on Islamophobia, pushing Euroscepticism to second place as anti-immigration, asylum and xenophobic stances took center stage. The SVP also realized that it could spam referenda and capitalize on the fact that -- given the number and range of topics of Swiss referenda -- most referenda see a turnout of around 50 percent or less. By spamming referenda, engendering voter fatigue in the general public and simultaneously rallying their base, the SVP could dominate national political discourse. Capitalizing on this new formula, the SVP launched the "expulsion of criminal foreigners initiative" in 2010. This initiative called for the deportation of foreign nationals convicted of serious crimes, robbery and welfare fraud. The initiative passed with 52.9 percent of the vote and a voter turnout of 53 percent. This result led to serious problems for the government as it would go against its international and regional legal obligations. From 2010 to 2013 the SVP led a series of cantonal referenda arguing against proposals to allow foreigners to vote in municipal elections. The SVP's referenda were all successful, garnering definitive "No" votes. In 2013, the SVP youth wing, Junge SVP, went a step further. The Junge SVP launched a cantonal referendum in Bern, calling for all foreigners sentenced to two or more years in jail, guilty of welfare fraud, with insufficient German skills, or inadequate heritage knowledge to be barred from receiving citizenship. To the shock of the establishment, this referendum passed with 56 percent of the vote. The referendum results were allowed to stand, as while the spirit of the referendum breached anti-discrimination and civil law, it included a clause "to be executed within national law" allowing for it be implemented on a case by case basis, thus ensuring proportionality. Buoyed by these successes, the SVP launched the Ecopop initiative in 2014. Utilizing environmental language highlighting concerns about sustainable growth and overpopulation, the SVP sought to limit immigration to 0.2 percent of the national population per year. This would have capped immigration at around 16,000, as opposed to the average 80,000 -- overwhelmingly EU member state -- immigrants entering Switzerland annually. This measure was handily defeated by 74 percent, with a turnout of 49.4 percent. On February 28th, 2016, Switzerland again voted on a controversial SVP led initiative. The so called "Implementation Initiative" was called by the SVP to force the government to adopt the measures passed under the 2010 "Expulsion Initiative." Given the expected international fallout and questions of legality, the government had been stalling on implementation. The initiative highly galvanized Swiss politics and resulted in 58.9 percent voting against the SVP initiative with a turnout of 63.1 percent. However, three of the four cantons with the highest voter turnout -- 72-75 percent -- voted in favor, demonstrating the SVP's continuing ability to rally its base. After this defeat, Blocher stated that the SVP "must be careful not to launch a popular initiative where ever some dissatisfaction exists. We can now use our strength in parliament and on the Federal Council [the SVP now controls two of the seven seats]." Blocher insists that these statements are not influenced by recent referendum results, as he is still very active with ongoing Eurosceptic initiatives. The advocacy group Campaign for an Independent and Neutral Switzerland, or AUNS, in which Blocher played a founding role, and which supported his rise in the the early 2000s, is planning a referendum to re-introduce systematic border controls and return the country to pre-Schengen terms. Moreover, despite Blocher's statements, the SVP has called a referendum -- "No to Free Lawyers" -- for June 5, 2016 against the government's refugee proposals. Specifically, the SVP is campaigning against plans to unconditionally provide free legal aid to all refugee claimants. Moreover, the SVP is campaigning against legislation which allows the government to override municipalities when building new asylum centers. As if this were not enough, the SVP has already begun collecting signatures for two more initiatives. The SVP's "Ban on Face Coverings" initiative, seeks to outlaw face coverings and is aimed at delinquents and, unsurprisingly, the Muslim community. The second initiative, the so called "Self-Determination Initiative" seeks to mandate the immediate implementation of successful popular referenda, irrespective of government opposition. The initiative also seeks to enshrine constitutional supremacy, with domestic trumping international law. The Swiss are fiercely proud of their vibrant direct democracy, yet at times it can seem -- just like the country's famous chocolate -- to be too much of a good thing. 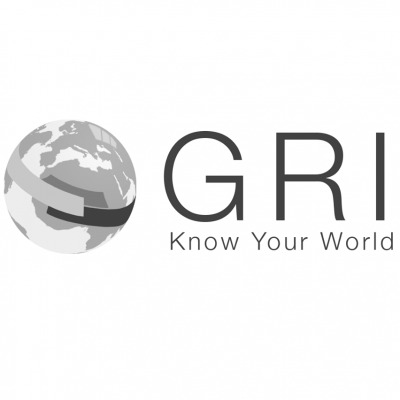 This piece first appeared on Global Risk Insights.